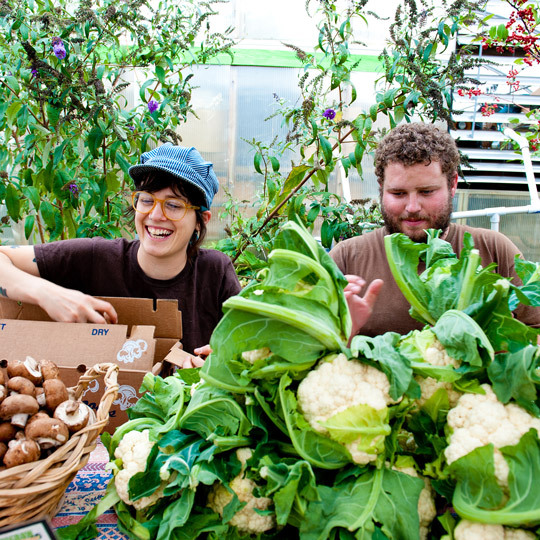 The large wooden stand high above the heads of customers picking through vegetables at Greensgrow Farms in North Philadelphia does more than just shield the sun while they shop—it’s pulling solar power, too. 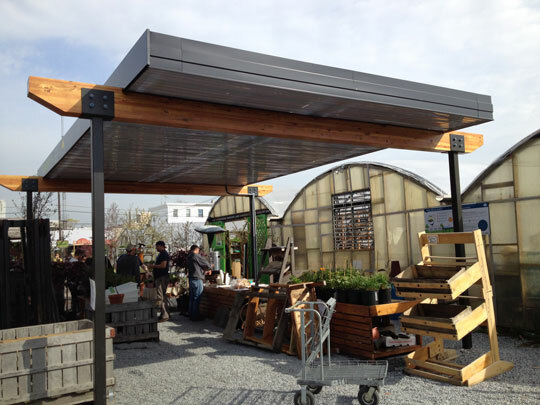 Equipped with 16 solar panels, the array provides the urban farm with clean, renewable energy. All told, the 5,000 kilowatt hours of power the solar array is expected to produce every year could save the organization about $1,000. But Greensgrow Farms could not have done it alone. The nonprofit recently received a $20,000 grant from Sun Club, Green Mountain Energy’s program that provides solar panels and power systems for local organizations looking to better their communities. While the Texas-based company has been selling renewable energy since 1997, it expanded its operations to the Philadelphia area in 2012 and began looking for community organizations to offer funding for solar projects. The company now serves customers in Texas, Illinois, Maryland, New York, New Jersey and Pennsylvania in markets where customers have the power to choose their electricity provider. She said the building and installation of the solar farm stand only deepened the relationship with the Sun Club and Green Mountain Energy, adding that when Greensgrow needs help with a new planting project—or educating the community on healthy foods or urban farming—more than 15 Sun Club employees will volunteer to help. And Tony Napolillo, the Sun Club manager at Green Mountain Energy, hopes the company can continue to participate in future events at Greensgrow Farms and at the other groups the Sun Club is helping through its grant program. Equipped with 16 solar panels, the array provides Greensgrow with clean, renewable energy and could save the organization about $1,000 in energy costs every year.In addition to Greensgrow, the Sun Club is helping three other groups purchase and install their own solar arrays: Spring Mill Fire Company in Conshohocken, Pa.; the Pennsylvania Horticultural Society’s Meadowbrook Farm in Abington Township; and Green Woods Charter School in Northwest Philadelphia. Once Green Mountain Energy donates the money and helps set up the system, the recipients own the solar arrays outright. Green Mountain Energy grants hundreds of thousands of dollars a year—there is no official dollar goal the company looks to award—to nonprofits looking to upgrade to solar. The Sun Club has gotten involved in dozens of communities it has operated in since it began giving money to charities for solar projects in 2002. Since then, Green Mountain Energy has donated more than $2.5 million to help install more than 600 kilowatts of solar power—avoiding 924,000 pounds of carbon dioxide, or the equivalent of planting 110 trees a year. And what does Green Mountain Energy get out of all this? Helping promote solar power is part of the organization’s mission, and by helping nonprofits produce power, Green Mountain Energy can educate communities on renewable energy and help promote solar power. Any organization can apply for a grant from the Sun Club, Napolillo says. They just have to own the property and have a suitable place for a solar array, and Green Mountain can help them work out the rest, including technical details, finding vendors and even how to build the array. But the Sun Club gives special attention to schools, community service organizations and groups that help promote food security in urban areas. “The ones that make it through the application process that are the most compelling are the ones that have a great mission, and the solar power would enhance their ability to meet that mission,” Napolillo says. But solar power can also teach kids about relying less on fossil fuels. At Green Woods Charter School, kindergarteners through eighth graders study the ponds, creeks and artificial wetlands spread across its four acres. Built on top of a former brownfield site—an area that contained hazardous pollutants or contaminants—the school jumped at the chance to use solar to power the water supply pumps that fill the creeks and ponds with water recycled on site. The 10 solar panels—mounted on a pair of twin poles across a few dozen feet—were made possible by a $30,000 grant from Green Mountain Energy’s Sun Club, and will be up and running by the end of October. “This is a great chance to not just use solar electricity for power but also to educate a community and teach children about how solar power works,” Napolillo says. The school created a curriculum on how solar energy works and how it benefits the environment, according to school technology coordinator Nicole Starke. Students also held an art contest and are filming a documentary. And an energy monitor will be installed so students can measure how much energy the panels generate and gather data on how they are affected by weather. The second-graders are already excited. “It will make us a better school for helping us learn about nature,” says student Eadin McAllister. Fellow second-grader Dylan Balcer is interested in learning more about the large batteries that help keep the solar power flowing at all times. “They store the energy so that if the sun is not shining that day, we can still have energy,” he says.